Book 1 of the Independence Quilt contains instructions for several of the blocks & appliqués used in this patriotic quilt plus special projects using each block. 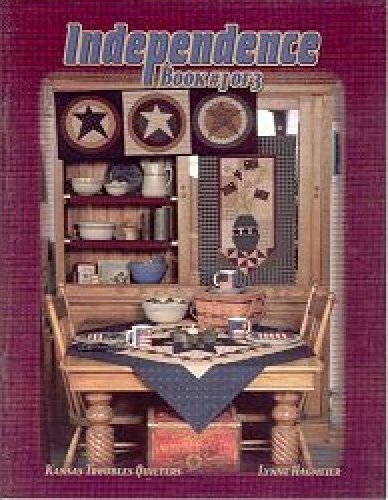 Includes the Star-in-a-Star Block (27" square) that can also be used as a wall hanging or table topper; the Bullseye Star Block (14" square) as a pillow top or table runner; the Patriotic Bouquet Block (12.75" x 27") & wall hanging; and the Independence Hall Block(11" x 18") that doubles for a wall quilt. So grab your collection of red, white & blue fabrics for this summer's project & create your own Independence Quilt for the 4th of July!